Brand new 362650 Xray Ball End 4.9mm With Thread 6mm (2). 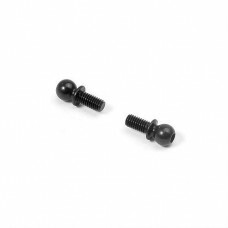 Threaded 4.9mm ball end with 6mm thread length for connection to molded ball joints. Set of 2. Taken from an unbuilt 2017 XB4.